day. The Lord has wonderful things in store for you. 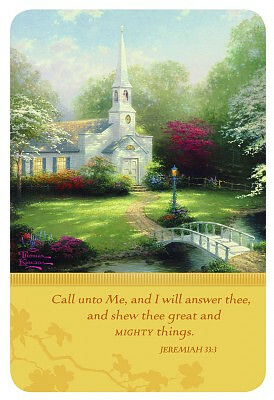 Thomas Kinkade - Encouragement - 12 Boxed Cards was published by Dayspring in March 2012 and is our 3193rd best seller. The ISBN for Thomas Kinkade - Encouragement - 12 Boxed Cards is 081983449987. Be the first to review Thomas Kinkade - Encouragement - 12 Boxed Cards! Got a question? No problem! Just click here to ask us about Thomas Kinkade - Encouragement - 12 Boxed Cards.